Do you want to mount ISO files easily on Windows? Well, check this list of the best ISO Mounter for Windows 10/8/7. 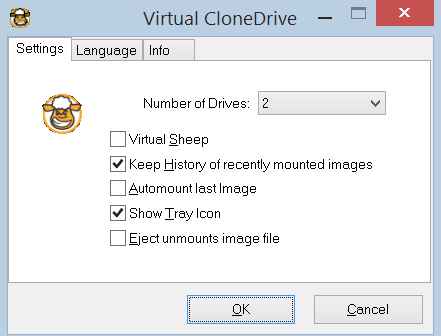 This ISO mounter software acts like a virtual drive where you can mount iso files. The original idea to create an exact copy of a CD-ROM and place the data in a file that can be stored on a USB flash drive or hard drive was a great invention. These files, which can also be stored on DVD or Blu-ray, for example, are more commonly known as ISO images. ISO image files can be easily created, all you need is an optical drive and an optical disk, as an alternative, you can download them from many sources on the Internet. Once you have the file stored on your computer, there are several things you can do with it. ISO image files can be burned to a new CD or DVD to create a copy of the original disc, but it can also be written to a USB flash drive to install something like a Windows or Linux OS faster. Another option is to use software to make the ISO image behave like a real disk. This allows you to install apps and games or read the drive in the same way as if it is physically inserted into the computer. In summary, ISO mounter software is known as virtual drive software because the unit isn’t real since it only emulates an optical drive, so the ISO image is mounted on the virtual drive to create a virtual disk. So let’s see the list of the best ISO Mounter software for Windows to Mount ISO files easily. UltraISO is a potent ISO Mounter tool that will help you to create high-quality ISO images, since it evaluates the element to be copied with the intention of verifying if there are sectors in the discs that are defective, finding solutions to this problem and guaranteeing an excellent performance copy. 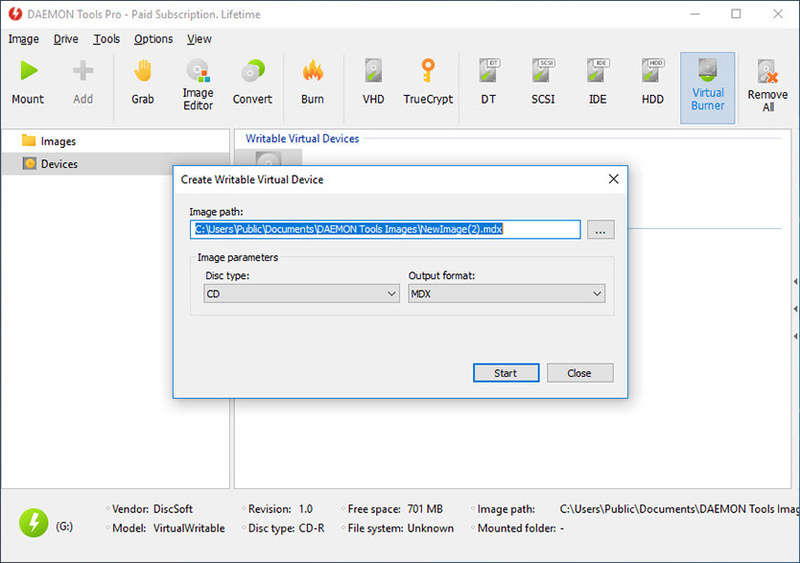 UltraISO let you create and mount an ISO image in Windows, also allows establishing virtual units for reading ISO images, which is quite useful, since it will not be necessary after copying the disk-to reinsert it in our computer. This program is also helpful for those users with computers that don’t have a disk drive. 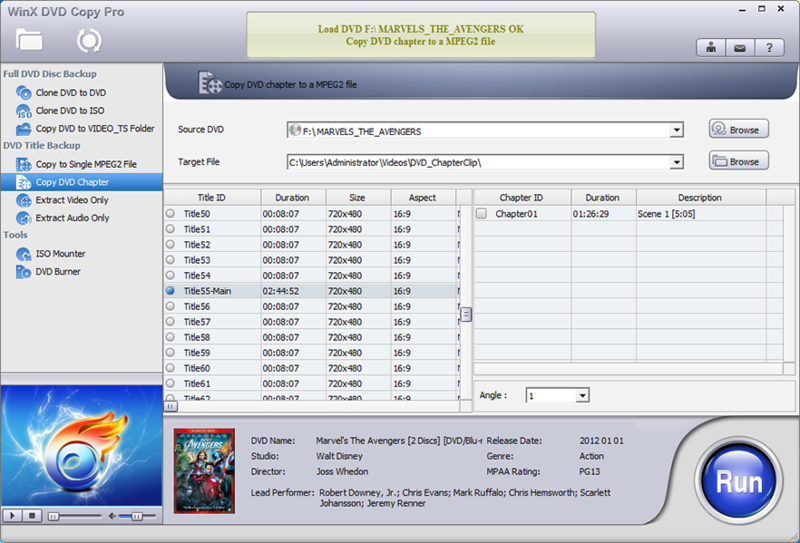 WinX DVD Copy Pro is an exciting ISO mounting software that allows you to make copies of DVD and CD (9 modes) in a fast and straightforward way. In addition to this, it will enable you to transcode movies and videos in general so that they can then be recorded on blank DVDs and then played on DVD or PS3 players. But for our subject of interest, it also has a tool for mounting ISO images, which creates a virtual drive. It also doesn’t require a powerful CPU to work. The Pro version has many more features, but the Free version is enough to mount an ISO! This program doesn’t create virtual ISO images. It becomes a tool for the useful task to mount ISO files generated by others. It is simple, quite intuitive and with proper execution of its function: it creates up to 15 virtual units in your computer, which you can execute at the same time or eliminate if it is of your choice. It supports the essential formats of virtual images such as IMG, UDF, BIN, ISO, and so on. Undoubtedly one of the easiest ISO mounter for Windows. Imdisk is a bit more complicated to use than the other tools provided here. It is compelling ISO mounter for Windows because, in addition to mounting ISO, CD or DVD ROM images, you can also create fixed or removable virtual hard drives. These can be built in the system memory to behave like a RAM disk that can be written and saved in a .img image file while it is reloaded to be used again at a later date. It is a reasonably intuitive ISO mounting tool with a comfortable and minimalist appearance. It comes in a trial version in which you can enjoy the full range of options offered. It is focused on the creation of images on CD, DVD, and Blu-ray. It also guarantees the creation of virtual drivers (up to 31) that facilitate the reading of each of these permitted formats, it also enables the transfer of virtual images to physical disks, allowing users to share the content. Undoubtedly one of the ISO mounting software to create and mount an ISO image in Windows, which allows greater software stability. Supports formats such as NRG, ISZ, ISO, CCD, IMG, and so on. It has a version in 32 and 64 bits. It is ideal for making backup copies of important CDs and DVDs and creating images of them that will be executed from the hard disk multiplying the access time exponentially. Alcohol 120% allows you to run games or watch DVD movies without having to insert the disc into the unit. Imagine how fast a game will load a CD/DVD that has been virtualized thanks to an image in ISO format. Although its appearance doesn’t attract, as it seems a little outdated, it is straightforward and completely free ISO mounter for Windows. It constitutes a program of secure execution that guarantees the user the administration of his images in a simple way. Although it seems very simple, this program supports several formats, more than the user can imagine for its simplicity; among them, I can name the following: ISO, BIN, CDI, NRG, IMG, MDS, among others. With a well-made and pleasant appearance for the user, this other of the best ISO mounting software to create and mount an ISO image in Windows will allow you to manage your virtual images comfortably and efficiently. One of its main characteristics is the evasion of prohibitions that prevent the use of some discs. For a long time, it has been one of the most powerful tools when creating virtual images on CD, DVD or Blu-ray. It also allows the management of formats, such as BWT, CDI, CUE, ISO, among others. With a comfortable and straightforward interface, it helps the user in the creation, management, and extraction of the content protected in these images. It will also allow you to mount all types of disk image files known so far and can emulate up to 4DT + SCSI + HDD devices. It will allow you to create images of your optical discs and also access them through a well-organized catalog. This is a useful addition to the DVDFab range of tools that specialize in video ripping, conversion, and gaming. 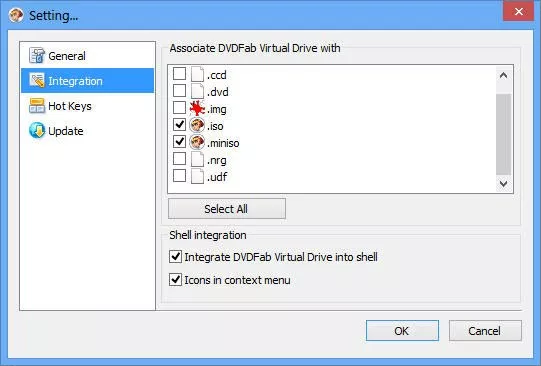 Virtual Drive is like a simplified version of Daemon Tools, but it has some compelling advantages like supporting up to 18 virtual disks, mounting an ISO Blu-Ray image or folder so that it can be played in PowerDVD, and there are no tools to adware offered during the installation process. 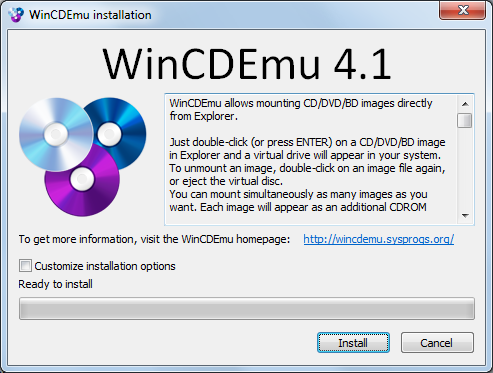 You can mount ISO image files easily with WinCDEmu. Just install, and all you have to do is double click on the ISO image file to automatically mount to a drive letter. If you want to dismount, right click on the unit and select Eject. WinCDEmu has a simple option to create an ISO image of a CD/DVD or Blu-Ray disc, merely right click on the unit in Windows Explorer and choose to create the ISO image. A WinCDEmu portable version is also available, but it is not as up-to-date as the standard version. 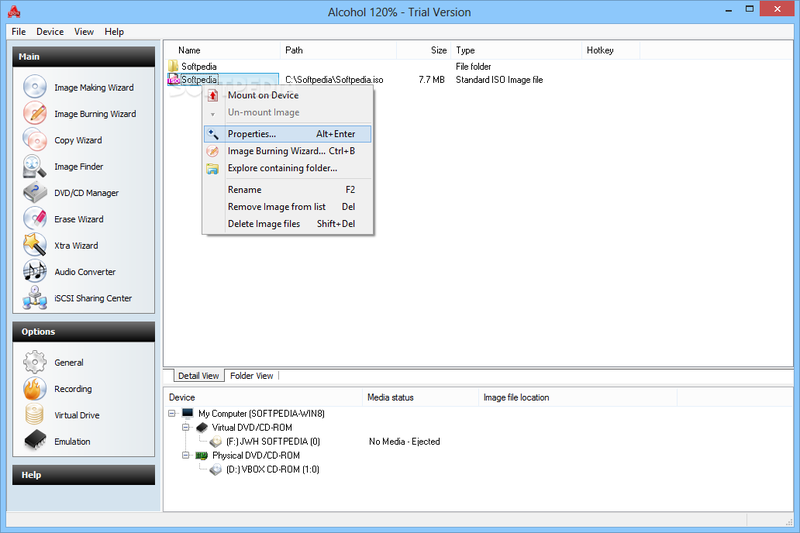 As easy that you can mount ISO images using any of the best ISO Mounter for Windows. Do you use another software to mount iso files? Let me know in the comment section.